For the first time I could finally breathe. My smile was so big, the sky was so blue, and I loved the music I was listening to. Happy. Was all I could be. And my past was no longer right in front of me. Hours later I hate myself and I just want to die, my past came crashing down. This drug was a lie. NEVER AGAIN Three days later, I lost my job. Almost lost a home. If it wasn't for him, I would've been all alone. In such short time, I nearly lost everything. I thought man I'm so blessed to see the reality and how fast you could lose all the most important things, and overcome it and move away and start over so easily. NEVER AGAIN Three months sober. And a relationship that was over. I was home and on my own. What did I have to lose? One more time won't hurt, I just want something to do. It was just like the first time. I fell right back in love, but the love turned to torture, everyday for weeks. I had to have it. I even sold my things. He came back just in time to save me, or so I thought. He believed all my lies and I ever tricked him to help me buy. Turns out I had some to lose, my Health and my mind. Please save me. No never mind. I'll be fine. I'm moving away again to get clean. NEVER AGAIN I moved back home with my family. I was happy and doing what I loved. Everything was perfect. I had been doing so good. I needed a break, just this once, I deserve some fun. I got so lost. For hours it didn't end. I thought I was dead. God please help me I cried. Calm down, your being dramatic, your just really high. You think it's the devil? No it's just in your mind. Sober up go to work. I think I'll get Baptized. NEVER AGAIN God saved me, I want my friends to know. My new knowledge and how great it was to feel loved and saved and never alone. My past, my burdens, my hate, the pain and the tears. NEVER AGAIN "Your not strong enough" oh yes I am. To go back home, and do it alone. Two days later i think about how everyday I sin, if all sins are equal, why can't I do it again? Just one more time, this is it then I'm done. It was just suppose to be a weekend thing, you know, for fun. A week later and I still haven't slept. I lost my job again, and my family wept. They are done they can't help me no more. I was out of chances. NEVER AGAIN I have to make it up. I have to show them, that I don't have a problem. I'm just being young. I gained a new family. I loved them so much. But the craving came back, and I wanted it so bad. Whatever it took I was getting it. I cursed them out, I spit in their face, but I didn't care. I was getting high today. I hated them, I was done, I don't want help. NEVER AGAIN There were two people left. I called them my friends. They wanted to help, but just didn't understand. I've moved 7 times this month. I lost my job. I have no one left and I feel all alone. My head is starting to feel strange. But I was learning new things. Am I losing myself? Or is this the real me? I'm comfortable and confident I love the new me. It opened my mind and now I couldn't be better, with a new job on the way. NEVER AGAIN I actually didn't get fired. Just walked out on my job. After just one day, I thought screw it I'm done. The only friends I had left was the ones that help numb my pain. But really it just made it worse. They tortured me and fed me lies and revealed more pain, I was just angry all the time. I had no more money and nothing to sell. Just for one line, I gave myself. I felt so disgusting. Had so much shame. Cried for hours. This is it. I've gone too far. NEVER AGAIN What are you doing? You are not a whore? Your better than this life. Don't you remember before? Remember your love for sobriety and doing this right? 18 years you've had it rough. No childhood or stability. Your mom and dad were gone. But it wasn't your fault. You had no control, they chose the high? Remember you always wanted that little girl? Your doing wrong. Don't you know your now in control? No one can hurt you, but you. Your choosing the high. Why did you give up on your dreams? I don't want this no more. But it feels to me, that it's getting harder and harder to remember the real me. I'm so disrespectful and don't care. My good memories are fading. It hasn't even been a year. I can see what's happening. I know I still have control, I have to stop now or I will lose and go down the wrong road. NEVER AGAIN. I say it every time, but when will it be true? Will it ever be? Before I completely lose my mind. You have beautifully described addiction, the lure, the lies, the consequences and the downward spiral that it causes. 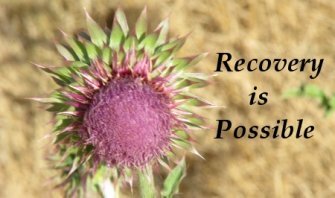 NEVER AGAIN is possible but it is a process that you likely can't do alone. It sounds like your meth addiction has attacked you brain and is turning you into a person you don't want to be and don't like. Meth is a drug that, more than other, changes us psychologically and can even cause us to become psychotic. Please consider going to psychiatrist and allowing them to help you to get away from this terrible addiction and the negative mental symptoms it's causing. Also, yes the Lord will help you if you seek Him with all of your body, mind and soul. Please find a local church in your area that hosts AA or NA meetings and start going DAILY for at least 90 days. The Lord will meet you at those meetings and help you through this awful addiction.